About Captisol, a Ligand technology. Ligand-owned, Captisol® was invented in 1990 by scientists at the University of Kansas Higuchi Biosciences Center for use in drug development and formulation. The Captisol® technology is used to address the limitations of currently marketed drugs. FDA-approved, Captisol-enabled® medications are marketed by: Pfizer, Bristol-Myers Squibb and Baxter International. 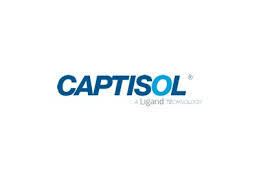 Captisol® also has License and Supply Agreements (LSAs) in place with a number of pharmaceutical companies worldwide with Captisol-enabled® product candidates. Routes of administration investigated include parenteral, oral, ophthalmic, nasal, topical, oral, and inhalation. Your message will be sent directly to Captisol, a Ligand technology and will be answered at their discretion.